The Northern Utah Division is home to many outstanding modeling clubs, in every scale from Z to Live Steam. You are sure to find at least one of them that will meet your needs, so drop them a line and join the fun! Contact information is the most recent we have on file. If you have a railroad modeling club in the state of Utah, we would be happy to include your information here. Just send us the name of your club, the scales you support in your club, and how prospective members may contact your club. 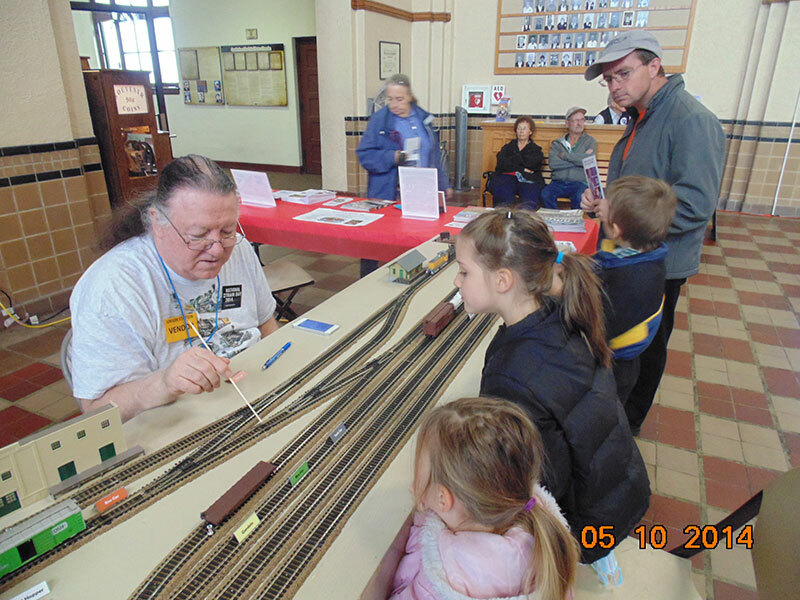 Golden Spike Train Club of Utah – This HO/HOn3 100% NMRA club meets Saturday Evenings from 3:00 pm to 6:00 pm, at the Old Children’s Museum of Utah ( 840 N 300 West, SLC ). Open Houses are held on the 3rd Saturday’s of the month from 12-4 pm. Contact Mark Forslund by phone at (801) 641-6586 for more information. Out of the area memberships are available. Great Basin Lego Train Club – Adult fans of LEGO. Meeting times and club info is posted on their website. Hostlers Model Railroad Club – This Multi-scale club, including live steam, meets the 3rd Wednesday of every month at Ogden’s historic Union Station. Contact Mike Murphy by USPS mail at: 752 W 4375 South, Riverdale, UT 84405 or by phone at: (801) 394-4952. Railway & Locomotive Historical Society (Golden Spike Chapter) – An historically oriented group of researchers and preservationists, the Golden Spike chapter of the R&LHS meets at Ogden Station and is presently in the midst of a 20+ year restoration project of the D&RGW #223. South Weber Model Railroad Club – This 1-1/2″ club runs trains every 3rd Saturday & Sunday at South Weber Canyon Meadows Park. I-84 exit #85, two blocks south, two blocks east.